List of College Ten staff by unit. Hello and welcome! My name is Flora Lu and I am the Provost of College Ten. The Provost is the academic administrator for the college. That means I supervise the academic programs of the college including the college courses, academic advising, academic standing, academic integrity, college honors and distinction programs, and graduation. I hope to see you around College Ten. Hello and welcome to College Ten!My name is Deana Slater, and I am the Senior Director of College Student Life at College Ten. I oversee student life and administration at the college which include a variety of areas such as residence life, college programs, budget, facilities, and supervising our wonderful staff. Our college theme is Social Justice and Community. Please join us in shaping our College Ten community. Hello Slugs! 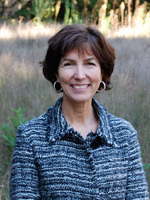 My name is Denise Booth - I am serving as the Academic Preceptor for both College Nine and College Ten. I am also a proud UCSC alumna. I know that adjusting to university life can be challenging. The advising team is here to help you navigate your university career and assist you in making informed decisions about your education. I encourage you stop by with your general academic advising questions and connect with us. Hello College Ten students and friends! My name is Wendy and I work in the Cocurricular Programs Office (aka "The CoCo"). I take great satisfaction from working with our amazing team of students and staff to provide a broad range of opportunities for students to explore the theme of our college, build leadership and other skills, find community, and get involved. Check out the Cocurricular Programs section to learn a bit about what we do, and please drop by the Coco any time - whether just to see what we're up to, learn a bit more, or dive right in! We are located right next door to the College Nine Mailroom in Social Sciences 1. I would also be happy to make an appointment to meet with you - just pop me an email or give me a call. Hello my name is Daphne and I'm the CoCurricular Programs Assistant. I work closely with students and staff to help plan events and opportunities offered through the "CoCo". To learn more about the CoCo, visit the CoCurricular Programs section, send a quick email, check us out on social media or come by and say Hi! Welcome to College Ten! Hello, my name is Linnea Beckett and I am the Food Justice Coordinator for College Ten. I teach classes on issues of social justice and I am the staff mentor for the College Nine and College Ten Community Garden Club. I am interested in pedagogies of social change and learning in out of school contexts. The meeting spaces available at College 10 accommodate everything from student group activities to large events. I'm thrilled to be part of a team responsible for executing these exciting programs. Please visit the Activities section of this website and see what we have to offer. You can even request a reservation online and I will follow up quickly to address your needs. It's my pleasure to be of service offering these venues as a destination for your event. Hello and welcome to College Ten! I am the Associate Director, which means that I oversee all the Residential Life and Housing functions for the College in addition to managing the student conduct process for our students. Check out our Residential Life section to find out more about our welcoming housing units and exciting programs. I have a strong passion and professional background in Social Justice and Community and look forward to engaging in the theme with you. Please come by my office in the Residential Life and Housing Office (Hague, 1st Floor) anytime. Janine was born and raised in Tracy, California and has a passion for social justice, a loud voice, a commitment to humor, and probably more eye makeup than most people. Janine recently completed Masters degree in Higher Education and Student Affairs from the University of Vermont. Before attending graduate school, Janine has served four years as a full-time residence life professional at UCLA, UC Berkeley, and the University of Oregon. Janine obtained a Bachelors of Arts in Critical Race, Gender, and Sexuality Studies from Humboldt State University. Over the years, Janinehas developed a passion for restorative justice, sexual assault prevention, residential curriculum development, and student of color advocacy. Outside of work, you can find Janine usually getting a manicure done to match their San Jose Shark’s hockey jersey. Hi! My name is Katie Ilecki(she/her pronouns), Housing Coordinator for College Nine and College Ten! My duties include all housing changes such as room changes as well as any student interested in university housing and their questions. I strive to be welcoming and supportive of all student housing needs and accommodate all as best as possible. Come by and say hello! I'm located in the Residential Life Housing Office in Hague on the 1st floor.